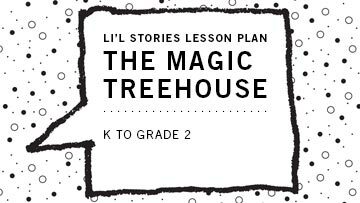 For Grades K to 2: This lesson gives students an opportunity to create original stories through text innovation of a popular book series, Mary Pope Osborne’s The Magic Treehouse. 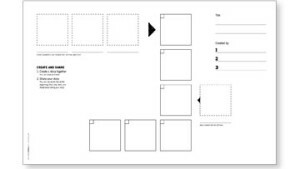 Goal: Students will sequence an original story, utilizing multiple characters and other story elements. Li’l Stories storyboard templates are designed to help organize and guide students through formulating their ideas into a fluid story. 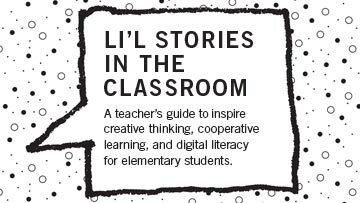 Our teacher’s guide describes the Li’l Stories framework and materials in detail. 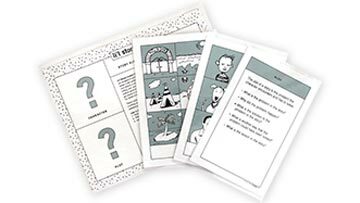 It includes activity ideas, implementation tips, the curriculum map, and its alignment to common core. 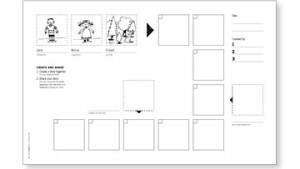 The set includes story elements (character, setting, plot, and story sequence) question triggers to help students get started in thinking about developing their ideas for new stories. • Print teacher’s guide, storyboards and curriculum map on 11” by 17” sheets of paper. 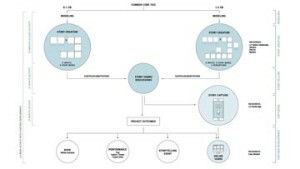 • Print content cards on 8 1/2” by 11” sheets of paper, fold along the dashed line and laminate. 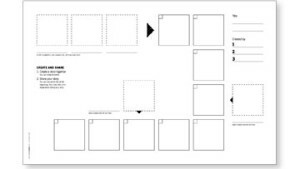 • Use 2″ by 2″ Post-its if you’d like students to be able to edit their stories.